Imagine going through your whole day, hitting the gym, then eating pizza and going to bed without any water, waking up and doing it all again tomorrow and for the next month, or three. While it’s not exactly like what your car goes through, it’s similar. 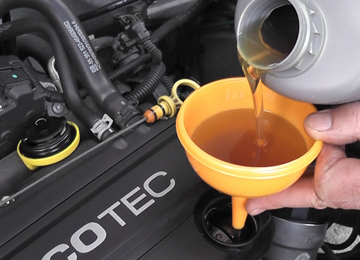 Your vehicle needs to stay hydrated too, and well lubricated to keep it running well through all seasons, particularly here in Somerville,MA . So the next time you feel yourself longing for a drink, make a note to call us to quench your car’s thirst too with an oil change. Regular oil changes are one of the most important things you can do to keep your vehicle running smoothly. To schedule an oil change today, call our Somerville, MA shop at 617-623-9067, or stop in to see us. We’re just off Teele Square on Broadway in Somerville, MA and open six days a week for your convenience.